Editing and link-fixing have brought this cautionary blog post about social media up to par–check it out and see what you think! 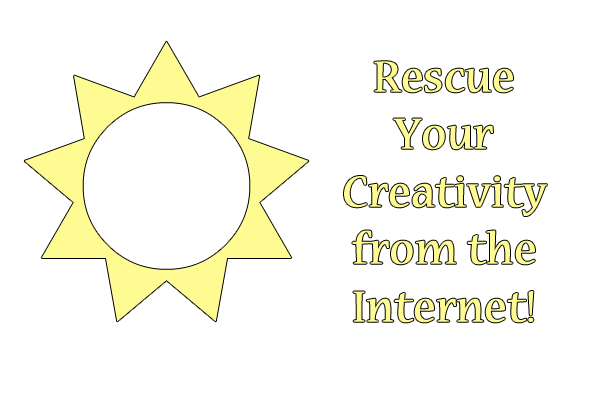 Rescue Your Creativity from the Internet! I realized last night that I haven’t played my piano keyboard in about 5 weeks. 5 WEEKS? That, for me, is almost unheard of–at least, when you take into account that I used to spend up to two hours a DAY playing piano down in the basement. Even when I had video games and schoolwork to take care of, even when I was at my busiest in college, I always found time to play my music, or to write poetry, or do other creative things. What’s changed? I can point to one thing: the Internet. Now that there’s a constant source of passive entertainment in my room (even while I’m lying or sitting in bed! ), I don’t have to go far for mental stimulation. I don’t even have to lift a finger to create anything if I don’t absolutely need to. And, increasingly, I find that the urgent need to create is somehow slipping away. For me, a prolific creator for most of my life up until this point, this is a radical mindset shift, and I know I’m not the only creative person suffering it. The Internet provides us with endless resources to fuel our creativity, but it also provides a handy time sink–it gives us carte blanche to while away just as many countless hours clicking things on a screen for no purpose other than a high score and/or a sense of accomplishment. Unfortunately, that random Internet time doesn’t often lead to creativity boosts, unless your brain just really needs a gaming or browsing break. These days, for me, Internet time becomes simply “lost time,” time in which my brain still has to work at reading or analyzing, but rarely has anything concrete to show for it. And by the time I’m finally done puttering around on the Internet, I’m far too mentally tired to be creative. That is the most dangerous symptom of all. I see this happening not only to me, but to some of my creative friends, too–we’re all suffering from what looks like “Internet fatigue,” not having the mental energy to do much beyond surf just one more website, take just one more online quiz, etc. Have you felt it, too? 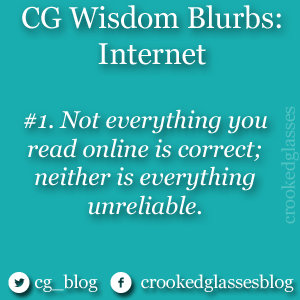 I’m not recommending that we all just stop using Internet for the rest of our lives, however. Not only does our work often depend on Internet, but our creative lives are now taking place on the Internet more frequently than not. The Internet is great, but, as I’ve discovered, one can easily “overdose” on it and end up less creative than ever. We creative folk have to reclaim at least some time for our brains to be JUST OURS–for our thoughts and ideas alone to be uppermost in our minds, rather than the blended remnants of today’s headlines/scandals, DIY ideas, status updates, etc. That’s the way we get back our creative juices…that, and specifically carving out time to do so. Turn your wireless connectivity off on your computer if you have to use your computer for creative purposes (such as writing). If your creative process does not need the computer, turn off the computer entirely, or set it to do an anti-virus/anti-spyware scan–something that precludes you from getting back on it. If you usually use your computer for creative work, try creating without it, using pen and paper when you need it for notations. Turn off your smartphone or set it to Airplane Mode while you’re creating, too. Better yet, leave it in another room where you won’t be tempted to check it. If you typically use a certain room for Internet, go to another room to create–sometimes, just the change of visual scenery (even if it’s still your house) will trigger your brain to behave differently. What other ways can you think of to rescue your own creativity from Internet fatigue? Tell me in the comments! When I say the word “troll,” you might think of the children’s stories where a troll hides under a bridge, just waiting to surprise and take advantage of innocent passersby. In reality, “trolls” on the Internet are much subtler and more insidious than this. The definition of an Internet troll is a person who posts inflammatory comments on articles and websites just to start fights or disagreements, not to express a valid opinion. Trolls often take advantage of an already-heated discussion, or pester people who strongly believe in their opinions. Basically, they want to feel important–this is why they do what they do. As a victim of many Internet troll attacks over the years, I at first responded to them with bewilderment or anger. I had no idea why they were saying such horrible things to me, nor did I know why they kept coming after me and attacking me. Thus, I kept trying to battle them back with either pleas for them to stop or logic to try to debunk their arguments. Neither of these tactics works against a troll–it actually just feeds them, giving them more amusement and more fodder for trolling. Remember, they are only doing this for laughs and/or attention. They aren’t interested in your opinion, only your reaction. The larger and more dramatic your reaction, the more they laugh and the more they keep coming back to get it–as I unfortunately found out. Firstly, if you are a member of a forum/website where the troll is posting, ignore the comment entirely. Remember, they just want attention, so don’t give them any. Secondly, if you are an admin of a forum/website where a troll is posting, delete their comment(s) and block their IP address from posting on the board. Don’t make any announcement about it, since you don’t want to draw attention to the troll’s attacks–just do it quietly, as if the troll never even existed. This strategy may just seem like a revision of the tactic “Ignore them and they’ll go away,” but it’s not. What I’m suggesting is both ignoring and devaluing their commentary, silently telling them that their words are not even important enough to keep around on the Internet, much less react to. This is about the only way to get rid of trolls, because you’re not giving them what they want: a reaction, either for laughs or to make them feel important. This may seem cruel; for years I resisted following this course of action, because I felt bad about treating another person this way. But what we have to remember in dealing with trolls is that they are entitled to their opinions, but you are also entitled to yours. On your own forum/website and in your own world, you don’t necessarily have to keep their opinions around to look at, nor do you have to let their comments influence your life. The bottom line: trolls are basically Internet bullies, and both bullies and trolls are sad, pitiable individuals who try to make themselves feel important by stomping on others. Pity them, sure, but pay no attention to what they say. 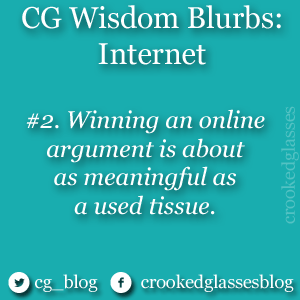 You’ll have a much better time on the Internet if you do so. Though many of us webdesigners and developers don’t realize it, many of our page hits come from robots, usually known as Web crawlers or “bots”, which index our pages for various search engines and the like. Bots like these are (generally) harmless, and indeed we designers should be glad for the innocuous presence of anything that helps our pages get better known. According to this article, they can help validate links and HTML, and they can monitor changes in your web page so that search results which turn up your site are as updated as possible. You do, however, have to be watchful for those few malicious bots, according to this site about web robot abuse, that look to harvest email addresses and other sensitive information for spam attacks; some bots might even be programmed to take down your server with specialized attacks. 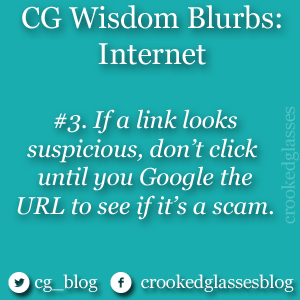 …then you don’t really have to do anything about your webpages. Just keep designing and coding as you have been, and bots will happily index and keep up with all your pages on your site(s). This is where the humble robots.txt file comes into play. This file, usually kept in the top level of your site’s directory, is a list of instructions for robots to follow while visiting your site–most importantly, used to disallow access to certain files and folders that you’d rather not have indexed. And just like some kids deliberately disobey your pleas to keep out of certain drawers and cabinets, there are some bots who will ignore your robots.txt file completely. The only way to be completely sure a bot isn’t indexing your stuff is to take it off your site…sad. Even more awesomely in-depth information about the robots.txt file can be found at RobotsTxt.org (very well-explained and detailed!). Put this meta tag in the header of your page, and it’s a virtual “Keep Out” sign for bots everywhere. Only do this, however, if you’re sure you don’t want anything on your site to be indexed, not even by the “good” bots. Bots are an often-forgotten portion of web development, but with all the various search engines (and spammers, unfortunately) out there on the big ole Internet, we developers have to at least take them into consideration. I hope you’ve gained some insight on how to either welcome bots to portions of your sites, or how to keep them out! InternetOfficer.com has a complete list of web robots for your perusal, so if you check your web stats and see a number of hits from several strange names, you can check this list and see if a bot’s been visiting you. Typos are just funny. When you know what the person meant to say, and yet it came out so differently…it’s hilarious. That’s probably one reason I love sites like Lamebook and WTF AutoCorrects–the funniest moments come from those inadvertent mistakes in a status message or a comment, and it renders the whole sentence as nonsense. 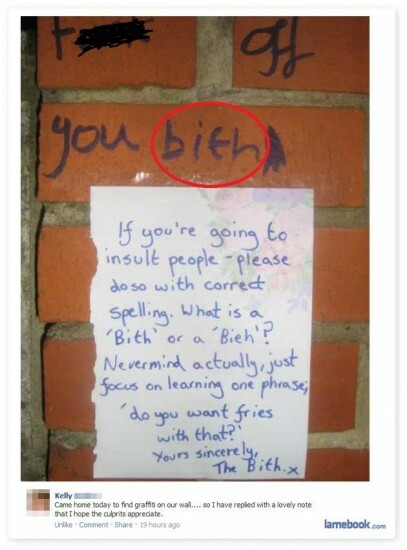 Both sites, as well as thousands of others across the Internet, are brimming with typo examples that make me giggle. As a former English teacher, I’ve seen my share of typos and their written counterparts in student work, and I see a lot of them online. I know I really shouldn’t laugh at typos, but should madly correct them with a grumble and a swipe of my red pen. …but I DO laugh. Often. And without holding back. Each typo I see is a little unexpected jolt of “LOL” in the middle of a day of “BLAH” or a session of “OMGIHAVETOREADTHIS???REALLY?!”. I think typos and autocorrects give us all a little mental break, even if we have to go back and fix them. It’s fun to realize everyone’s still human! For each of these, click the image for a larger picture. Typo + irony. Guaranteed to make a Robin laugh. Both the typo and the commenter’s response give me fits of the snickers. Hilarious (and somewhat accurate, considering the state of Myspace?) autocorrect. 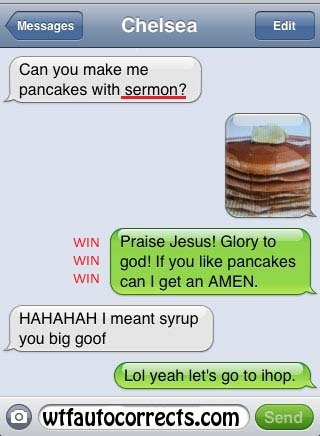 So…much…fail…can’t breathe from laughing at the multiple autocorrects! 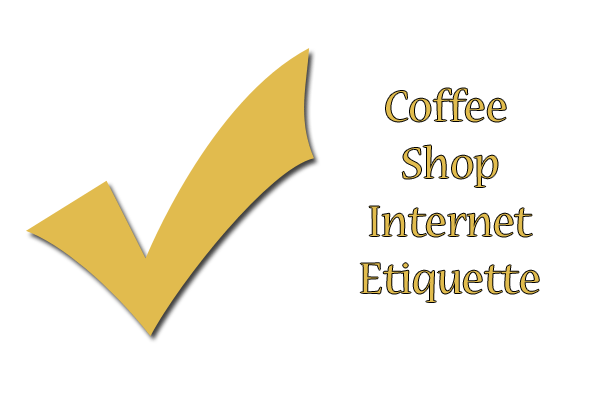 Coffee shops are a hub for public activity, even and including Internet access. For most folks, it’s a nice getaway from home and a place to be with friends. 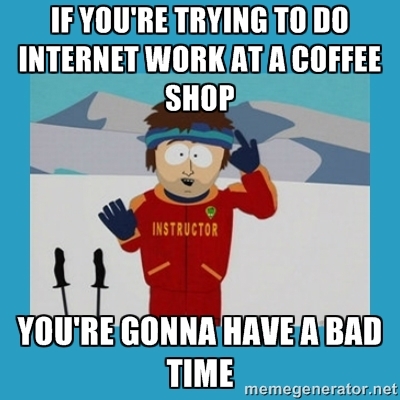 But for some people, “coffee shop Internet” is their only choice for fast Internet. It was for me until winter 2013. Wait, Why Doesn’t Everyone Have Internet at Home? For these people, public Internet access, provided at libraries and coffee shops, is their only link to the Internet. Libraries, however, are usually taken up with students and don’t allow food and drink, so coffee shops are the natural recourse. Leave the tables and chairs located near power outlets for computer users. Don’t spread your stuff over multiple tables if you only need 1 table. Don’t ask to use someone else’s computer; ask if they could look up something for you instead. 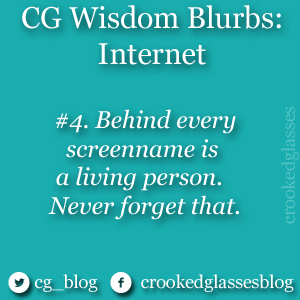 Allow them to have a bit of privacy–don’t ask or comment about what they’re doing on the Internet. Have any additional advice for public Internet users or the people around them? Add your voice in the comments section! Have an idea for a hilarious joke to post on Facebook? Maybe a prank comment on one of your friends’ statuses? How about a note detailing all the crazy things you and a bunch of friends got into on Saturday night? Instead, how about not clicking “Post” just yet, and instead rereading what you wrote? Rereading won’t take long. Just for a few seconds, think about how your parents will understand this post, or how your boss will take it. 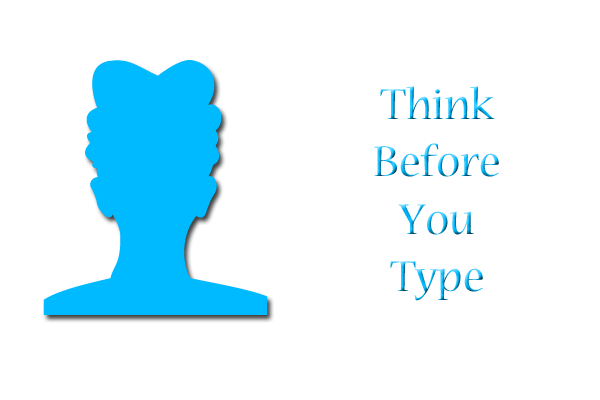 If it’s a joke or prank on a friend, think about how this friend might interpret your words. Is it as funny? Does it make sense to post it now? And, most important of all, would you be comfortable with a potential employer, new friends, or a future significant other seeing this five or six years from now? The reason I bring this up is because a lot of things get posted on Facebook these days that really shouldn’t be broadcasted. Though writing statuses or notes on Facebook seems harmless, sometimes thoughtless words can get you fired or spark fights (like the Facebook fight over a boy which resulted in a girl’s death). We all have things out there on the Internet that represent who we WERE, not who we ARE now–especially if you’ve had an online presence for a long time. But if we don’t delete things that no longer represent who we are, they don’t just vanish into the digital mist; they’re still archived somewhere, and someone may well access it one day much later when it’s embarrassing (or even incriminating) rather than funny or cool. So now, before I post anything on the Internet, even blog posts like this one, I stop and think, “Could this possibly get me in trouble someday? Could someone take this the wrong way? How does this reflect on me as a person?” This keeps me from posting a lot of (usually frustrated) statuses that wouldn’t serve any good purpose anyway, and it also keeps me from accidentally offending anyone, which could easily come back to bite me in an uncomfortable bodily region later. Since so much of our lives are on the Internet these days (even our work and family lives), it’s important to think carefully before posting anything online. This doesn’t mean that we live “fake” lives on social media, but that we just think as much about what we type as what we say in person.